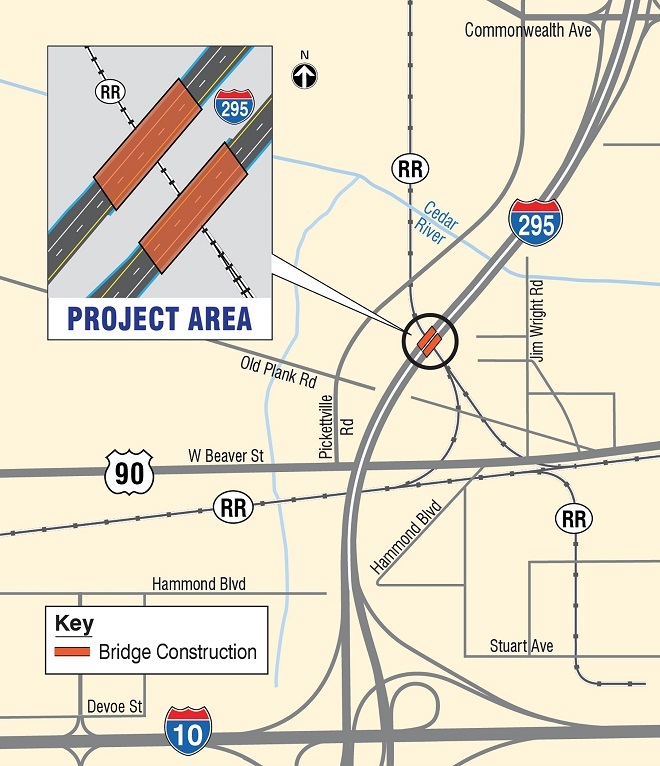 This project involves construction of crash wall protection, fencing and other incidental construction on I-295 at CSX Railroad Bridges 720410 and 720411 in Duval County. M&J Construction Company of Pinellas County, Inc. is the contractor. The existing speed limit of 65 mph will be maintained during project work. Lane closures are prohibited from 5 a.m. to 9 p.m. Monday through Thursday and from 5 a.m. Friday through 9 p.m. Sunday.